Nokia Lumia 900 is arguably the best Windows Phone handset out there. It is great looking and well put together. It even manages to add a couple of exclusive software touches to an otherwise generic experience with Microsoft's mobile OS. Internals are as cutting edge as they can be, given Microsoft's ideas about smartphone hardware these days - especially with the presence of LTE connectivity on board. The phone's OS is its biggest limitation. Windows Phone is definitely gorgeous and smooth as silk. When it comes to functionality however, it has a lot to catch up with Android and iOS. This has nothing to do with the sheer number of apps, which are available for Windows Phone. It is their quality, which is lagging. The ones, which are actually any good, are priced much higher than their Android and iOS counterparts. On the positive side, the Nokia Lumia 900 is extremely aggressively priced at $99.99 with a two-year commitment to AT&T. Even better - if you pick up the phone before April 21, you will receive a $100 credit to your first bill, which means that you will snag the device for free. We are not going to bother telling you about all the options out there, running a different OS - our guess is that if you have set your eyes on the Lumia 900, you are aware of the Microsoft's mobile OS limitations and you are ok with them. Here are some other Windows Phone devices, which might catch your interest. On this instance, we must tip our hat to AT&T, as the carrier has assembled the most impressive selection of Windows Phone running hardware in North America. HTC Titan II is the closest competitor to the Lumia 900. It costs $199.99, but will entice you with a massive 16MP camera sensor, a larger 4.7" screen, and a Scorpion CPU, which packs 100 MHz more than the Lumia's. The phone also runs on AT&T's LTE network. If a good camera is a must have feature, then the Titan II should definitely be on your list. Also, don't forget that shopping around for this one is not a bad idea either. You can likely find it with a lower price tag in one of the many retailers such as Amazon Wireless for example. If you are in an area, where LTE is missing, the Samsung Focus S is a great option. The smartphone matches the Lumia's spec sheet sans the LTE, and comes packed in a slimmer and lighter body. The Focus S will cost you $199.99 from AT&T. Once again though, if you shop around you can find it even for free on a contract. We are more than confident that the Nokia Lumia 900 will find quite a few followers in the U.S. After all, both Nokia and Microsoft are going out of their way to promote the device by all possible means. Whether or not the smartphone will bring Nokia back in the major league however is a whole different story. 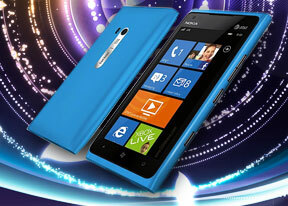 And just like the time when we had the Lumia 800 around for a review, we can't give you a definite answer. One thing is certain though - Nokia is still a long way from the top in this important segment, but they've got their eyes on the stars, and they seem determined to succeed. The Lumia 900 is a nice step in the right direction.